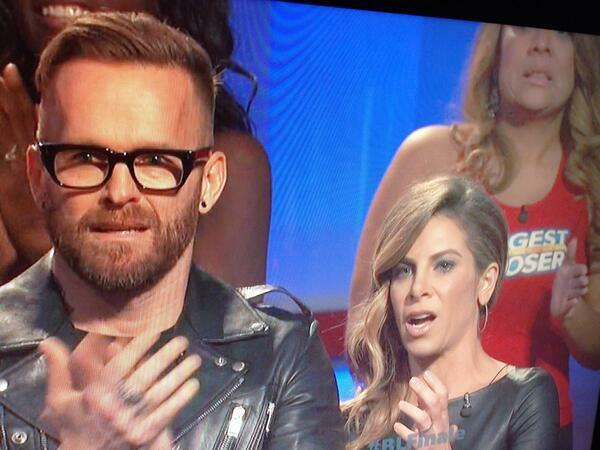 I haven’t watched the Biggest Loser in several years. I lost touch with it after my college friend (and musical dance partner) Marty was on the show. I had always yearned for their to be a “Moderate Loser” for people like me who could be just a bit more healthy with 15-20 less lbs. So when I was up early this morning and saw the social media sphere awash in frustration, anger, and sadness about the drastic and seemingly unhealthy weight loss of the winner-I bit and looked up the videos, the tweets, and such. And I say again, Wow. The reaction from Jillian and Bob was all you needed to see to understand the severity of the weight loss. I compare her physical appearance to an elite marathon runner, very muscular, but very very very thin. But even as I compare her to the power duo of Kara and Shalane, she still seems so very very thin to me. I applaud her desire to grow, to change her life completely, to become healthy and fit, but I fear there was no one along the way to stay STOP. Well done, now that is enough. I don’t blame Rachel, the winner. She was driven. I don’t particularly even blame NBC. Their focus is ratings and money. (Though I seriously think it is time for a conversation about presenting a healthy, realistic approach to diet/exercise.) I don’t blame the trainers, they did a great job and sent her to finish the job on her own. I don’t really blame anyone. I don’t know this woman and I don’t know how she feels, how she lost the final 45 pounds, or the state of her current mind. But I wonder…what does this modern example of extreme weight loss-turned into “winning”-say about the value of health and fitness in our culture? The backlash would certainly indicate that the populous knows the extreme, but we still awarded hundreds of thousands of dollars to someone for breaking their body into bone and skin. What does this image provide for our girls? Who we are trying to keep healthy and fit while balancing strong mental health and a positive body image? And in light of all of this…how do preserve our own value when the popular, prime time culture is saying…be skinny! Skinny is great! I haven’t been skinny since 7th grade and I’m ok with that, but I certainly know that skinny has a higher cultural value than fit or soft. I value health. I value belief in oneself. I value positive self image. I value fitness. I value teaching our girls that skinny doesn’t always mean healthy and soft doesn’t always mean sick. I value honesty. I value so many things that I fear weren’t represented in the “winning” loser last night. And I hope that I am the majority. I hadn’t heard or seen anything on this. Now I have to go check. But I think there is a general unhealthy weight loss trend going on, honestly. We are a nation of extremes–the extremely unfit and the extremely fit. There doesn’t seem to be much middle ground anymore. If she has taken it too far, then there should be a backlash b/c it’s just as unhealthy as being obese and doesn’t promote the right message.